It is unacceptable that, in 2015, 1 in 3 people globally do not have access to a safe and hygienic toilet. Today is World Toilet Day, celebrated by the UN since 2013. World Toilet Day offers an important opportunity to shine a spotlight on the crimes against humanity caused by the global sanitation crisis – mass violations of the right to human dignity, health and a resilient environment in which to grow and prosper - all consequences endured by those living without access to a safe and hygienic toilet. The issue is urgent. In the past two and a half decades since 1990, 2.1 billion people gained access to sanitation, but an even greater number – 2.4 billion – still have nowhere safe to go to the toilet. We can’t wait another two decades – we need speed and scale of delivery now. At the Toilet Board Coalition (TBC), we believe that there is an important role for business to play – as experts in delivering complex systems at quickly and to a lot of people. The TBC is accelerating existing sanitation business models and investing in co-innovation to fill gaps, with the goal of catalyzing a robust business sector to deliver sustainable, resilient access to sanitation for all. The coalition is a business led public-private partnership. Its members are multinational corporations, development expert NGOs / IGOs and social investors. Founding corporate members include Unilever, Kimberley-Clark, Firmenich, and LIXIL Corporation who are bringing their commercial acumen, combined with the sanitation expertise of the WSSCC, UNICEF, WaterAid, WSUP, BRAC, and the social investment expertise of DFID, AFD, GCC, USAID, the World Bank and the Stone Family Foundation. These organizations, leaders in their respective sectors, share a joint vision and mission to support and accelerate commercially sustainable business models dedicated to building resilient sanitation systems. They are demonstrating their commitment by investing capital and by deploying experts from across their organizations to work directly with small and medium sized sanitation businesses in the countries and communities most affected. We call it The Toilet Accelerator – the first business accelerator and corporate mentoring program dedicated to growing robust sanitation sectors in emerging and frontier markets. We are at a decisive time for the global development agenda. September saw the launch of the Sustainable Development Goals (SDGs), which follow on from the Millennium Development Goals (MDGs), laying out the roadmap for development for the next 15 years. The world missed the MDG for sanitation by a huge margin; we can’t let the same happen with the SDGs. 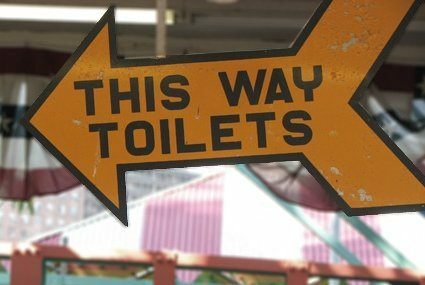 The latest report from the WHO/UNICEF JMP for Water Supply and Sanitation, states that to achieve SDG 6, universal access to sanitation and water by 2030, current rates of reduction for open defecation must be doubled. New approaches to delivering sanitation to low income consumers at affordable prices will be integral to achieving this. We have all of the tools, we now need to accelerate solutions. The Toilet Board Coalition seeks to prove that sanitation can be delivered profitably to underserved communities. Building a coordinated sanitation ecosystem aligns businesses, utilities, governments and civil society, will catalyse the impact we all want to see. For some, the word ‘profitable’ might seem incongruous with addressing the world’s most important social issue. I found exactly the opposite. Over the past months I have had the opportunity to consult with the global sanitation community, who have been resounding in their optimism for increased private sector engagement on this important issue. For me this is very encouraging: as a whole we are a much greater force for change than the sum of our parts. The potential gains of closer interaction between businesses, NGOs, academia, investors and governments, shaping a strategic agenda for the delivery of sanitation across Asia, Africa and Latin America cannot be underestimated. We are already working to better harness the depth of expertise that exists within the leading organizations of our membership, to expand our pipeline, and increase our investments. If you are interested in being involved, please get in touch. www.toiletboard.org / secretariat@toiletboard.org. Finally, on World Toilet Day, today, add your voice to the global debate about improved sanitation by joining a Twitter debate at 3PM GMT / 10AM EST, using the hashtag #SanitationIs. Cheryl Hicks is the Inaugural Executive Director of the Toilet Board Coalition - A business led coalition, working in partnership with NGOs and governments, dialing up innovation and investment in business models aiming to deliver universal access to sanitation.